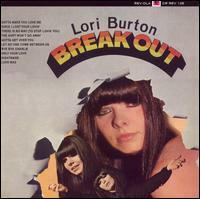 Lori Burton is a naughty girl. She sings songs about doing bad, bad things. And she sings them with a tough sounding New York snarl. Ah, hell. She was probably a rich girl from Long Island. And probably a good half-generation older than the Shangri-Las and the other girl groups. Maybe even married with kids. Still, she rocks. This is a late period girl group monster. Soul vocals, heavy production, good stuff. The vinyl rip is kind of low recording level, but should play OK.
Great stuff - I'm a sucker for 60's girl group/soul sounds. PLEASE REUPLOAD RAPIDSHARE.COM PLEASE !!! !